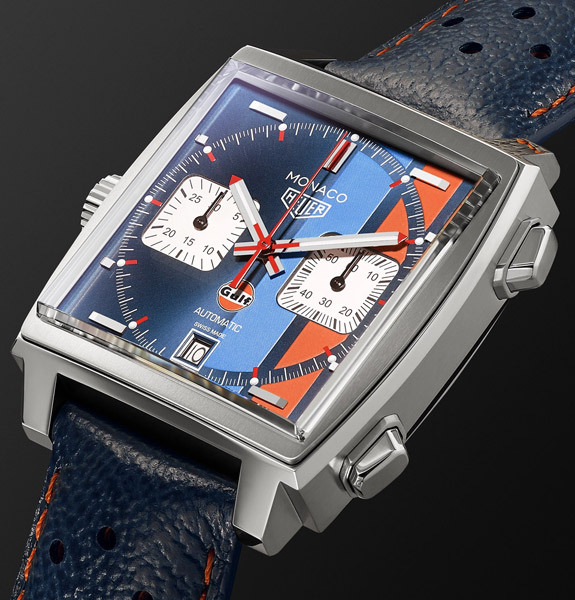 A timeless design, but the Tag Heuer Monaco Gulf Edition watch is a tweak of that classic look. 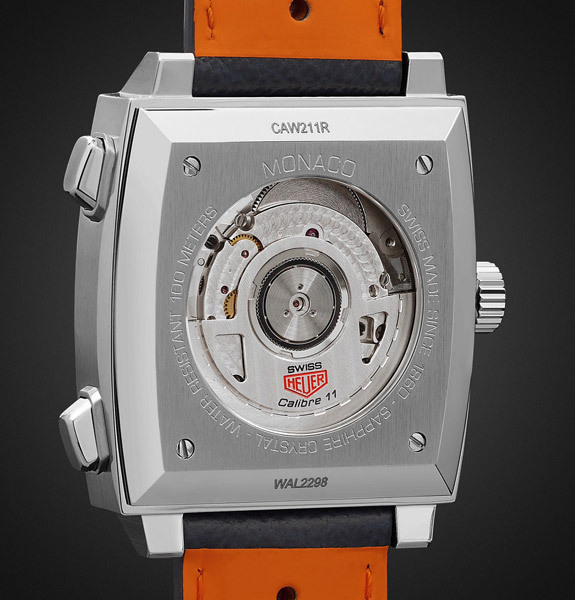 Of course, this is the watch made famous by Steve McQueen, who was a fan of the Monaco and wore it in the Le Mans movie. 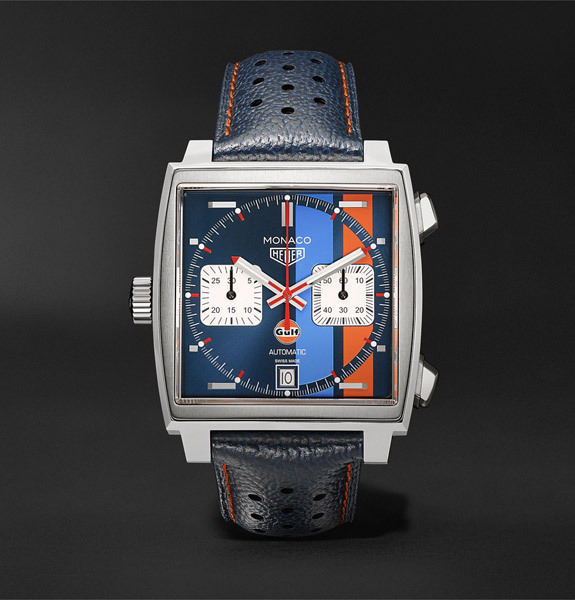 He also wore the Gulf colours, which brings us nicely to this version of the timepiece. 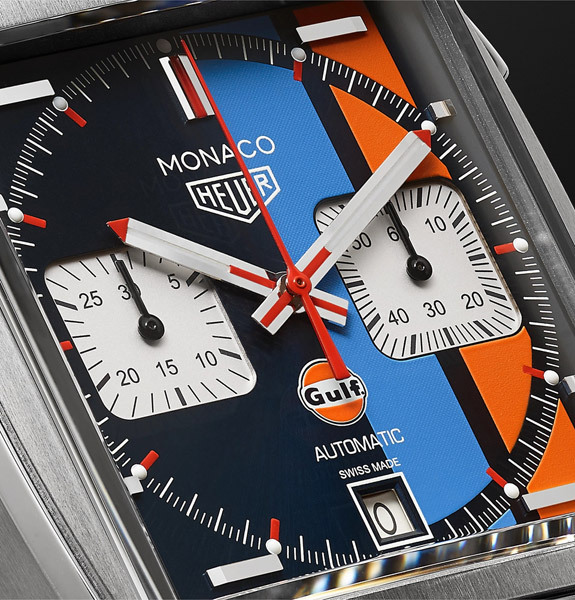 The latest take on the Monaco has been reworked this year to commemorate the 50th anniversary of Gulf’s first victory in the world’s oldest endurance race. 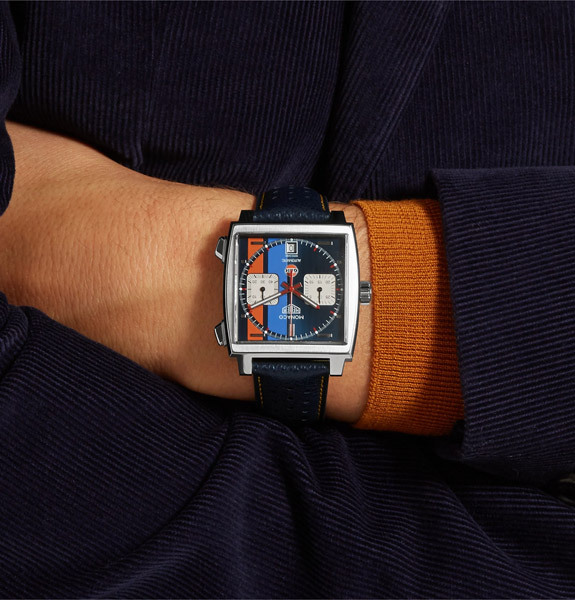 The automatic steel timepiece has a navy dial accented with blue and orange stripes, a reference to the winning Ford GT40’s livery of course and detailed with small second and 30-minute counting sub dials. The automatic movement has a 40-hour power reserve, the dial has Super-LumiNova indices and hands and it sits on a buckle-fastening blue calf leather strap. If you want to know more, see the retailer’s site for all the technical details. The watch that McQueen wore sold for around $800,000 at auction, so that’s well out of the reach of us mere mortals. To be fair, this version isn’t exactly pocket money and certainly out of my reach. 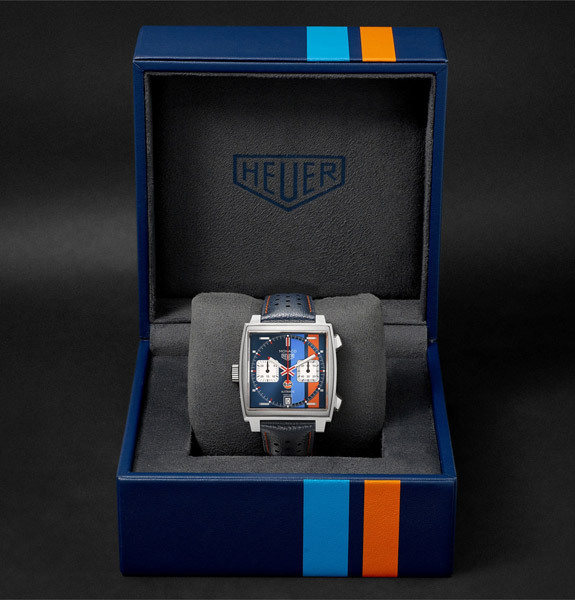 But if you want to invest in a classic, the Tag Heuer Monaco Gulf Edition watch in matching box sells for £4,750.